Are You Looking for a Dentist Who Serves Aledo? Dentists in Aledo, Dr. Deborah Romack and Dr. Garrett Mulkey, offer dental services to care for the preventive, cosmetic and restorative needs of their patients. From hygienic cleanings and all-porcelain crowns to Invisalign clear aligners and mini dental implants, no dental team serves patients better than Cosmetic & Family Dentistry. Prevention is foundational to good dentistry and long-lasting smiles. Dr Deborah Romack and Dr.Garrett Mulkey ask to see their patients every 6 months for hygienic cleanings and oral exams. The dentist looks for tooth decay, gum disease, oral cancer, bite problems and the condition of restorations such as fillings. The skilled dental hygienist gently cleans away plaque and tartar to prevent cavities and periodontal disease. If warranted, the team takes digital X-rays to assess for hidden decay and root and bone health. Intraoral photography adds the video element to examinations, uncovering problems invisible to the naked eye. The dentists goes the extra mile to evaluate and treat TMJ, or temporomandibular joint dysfunction, and also snoring, a common symptom of health-threatening sleep apnea. And, of course, the entire team prioritizes emergency treatment of severe toothaches and knocked out or injured teeth. Do You Want Great Dental Care? 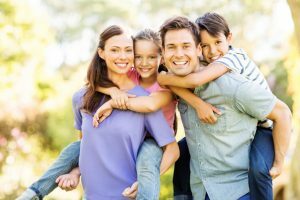 If you are not sure what dentist to see in the Aledo area, trust the experience, skill and patient-centered care at Cosmetic & Family Dentistry. The doctors will evaluate your smile needs and aesthetic goals, offering you the best treatments suited for your teeth and gums. The results will be optimal health and a bright smile. Contact Drs. Romack and Mulkey office staff today. Ask about the $162 new patient special and money off orthodontic care. by: Dr. Deborah Romack at September 23, 2016 . Comments Off on Are You Looking for a Dentist Who Serves Aledo?